Kimanzi has been chasing his dreams for several years and in the process he had stop chasing influencers! Stop Chasing Influencers was co-written with previous guest and good friend Jared Easley. I had the good fortune to get to meet Kimanzi Constable at Podcast Movement this past summer. He is such a happy, and fun person to be around. 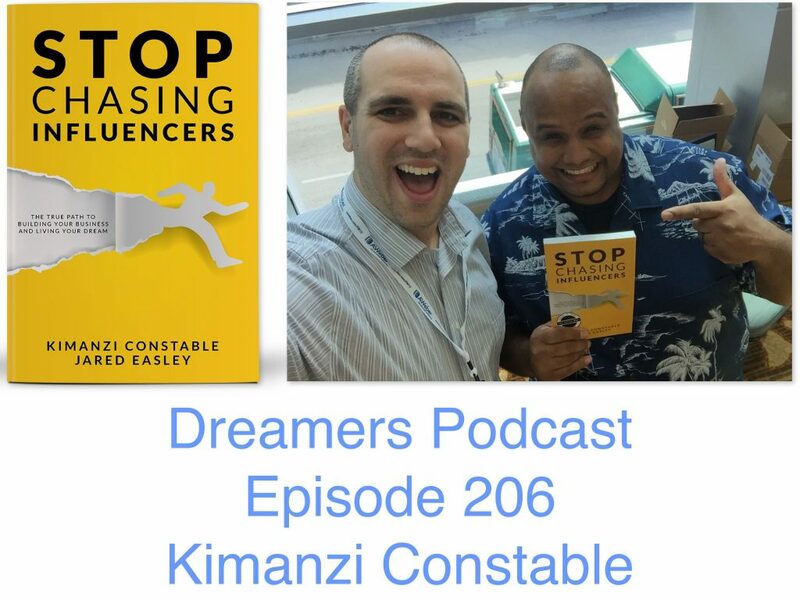 Since recording this episode, Kimanzi has finished his fourth book and Stop Chasing Influencers is coming out in about a month! Not to mention all of the other crazy adventures he has had traveling all over Europe, North Africa and the Middle East. For twelve years, I lived a life that could best be described as “existing.” I wanted more from my life but listened to my doubts, fears and the negative voices of other people. I started a service business at nineteen that grew to multiple six figures and had five employees in three states. Here’s the thing, though, I didn’t know anything about business, and quickly got my family and myself into serious financial trouble. I continued to limp through the business for twelve years, even though it wasn’t my dream or passion. Every day I wanted to quit, but without a college degree or any special skills, what could I do? Things came to a breaking point in the summer of 2011. I was over $180,000 in debt, my marriage was falling apart, and my children barely knew me because I was always working. The cherry on the cake was that I was 170 pounds overweight. UGH! In the back of my mind, I had a dream of being a writer. How could that be possible, a guy with no college degree become a writer? More than that, I wanted freedom! Three years ago I finally got fed up enough to stop existing and to do something about my dream. I decided to stop listening to all those things keeping me from a life that my family and I truly deserved. I self-published a book that was a complete flop at first. I sold five copies in the first six months. I was defeated, but determined. I got a book deal with a large traditional publisher and my dream of seeing my book (can I say that again, my book) in bookstores became a reality May 1, 2013. I got an invitation to speak at a conference in West Virginia in July of 2012 and have since spoken all over the world. Despite all of these amazing accomplishments, I still have a family to support. The money from the books was good, and so was the money from speaking, but we needed more. We needed some consistent income. So my family and I sat down and thought about what we wanted. We wanted freedom to do what we wanted, to live life on our terms. We wanted to be location independent, where all we would need to make an income was an Internet connection. We’ve spent four years making that dream a reality. We are now living the dream! I’ve lost 170 pounds, I quit my day job, and our family moved from Milwaukee, Wisconsin to Maui, Hawaii! I’m not teaching you theories here. I’ve done this in my life and want to help you accomplish your dreams. I’m a contributing writer for the Huffington Post, the Good Men Project, Entrepreneur Magazine, and Mind Body Green. This website is the place for the family man or woman to learn how to create freedom in their work, health, and relationships. I understand what it’s like to have a dream, but also have to support a family. 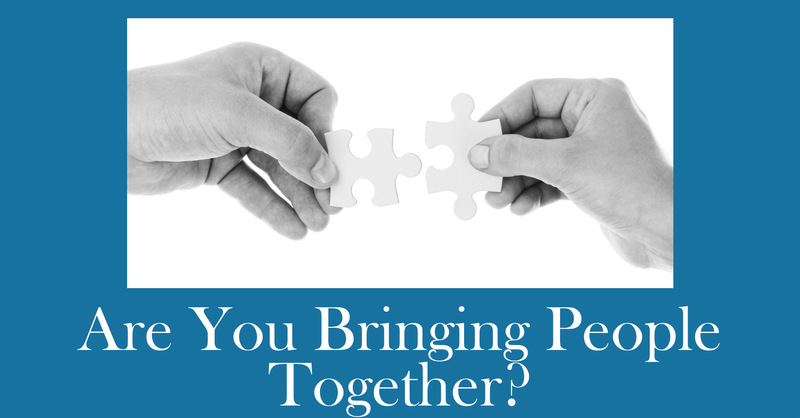 My goal is to give you the tools you need to create your dream and make that dream your family’s reality. I did it, and I know you can do it, too. I have been married to my beautiful wife Tanya for 17 years. I have two boys and a little girl. I am blessed beyond belief. Don’t miss any part of this journey. You can get help with yours by entering your email address in the top box. I send exclusive content to my email list to help them create freedom. Thanks SO much for visiting!